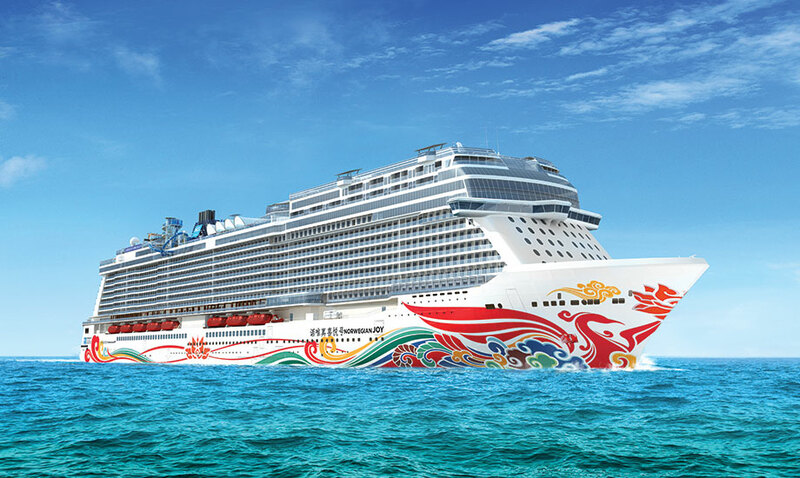 A few weeks ago Norwegian Cruise Line revealed the artwork that will adorn the hull of Norwegian joy, their first purpose-built luxury cruise ship customized for the Asian market. For a closer look at NCL’s newest and most innovative ship to date, sheduled to start sailing from Shanghai on June 28, 2017, have a look at the introduction to Norwegian Joy. Having revealed the artwork for Norwegian Joy NCL is now giving us a closer look at the culinary offerings that will be available on board the brand new cruise ship, and one word sums it up best: everything! With no less than 28 different food and beverage outlets on board, Norwegian Joy promises to become a true foodlovers paradise. 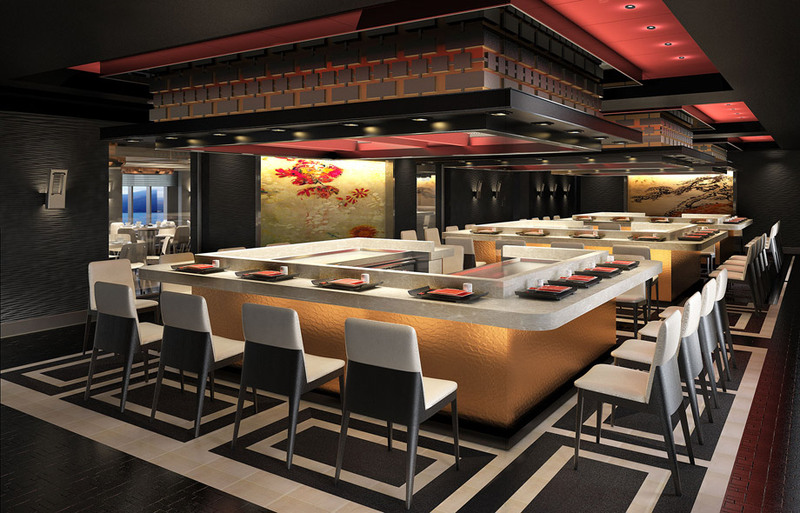 From Chinese hot pot, to sophisticated French haute cuisine, the freshest Japanese sushi to the highest quality American steaks and burgers, Norwegian Joy will offer it all. Unlike other cruise lines, Norwegian offers guests freestyle dining, the flexibility to dine when they want, where they want and with whom they want. 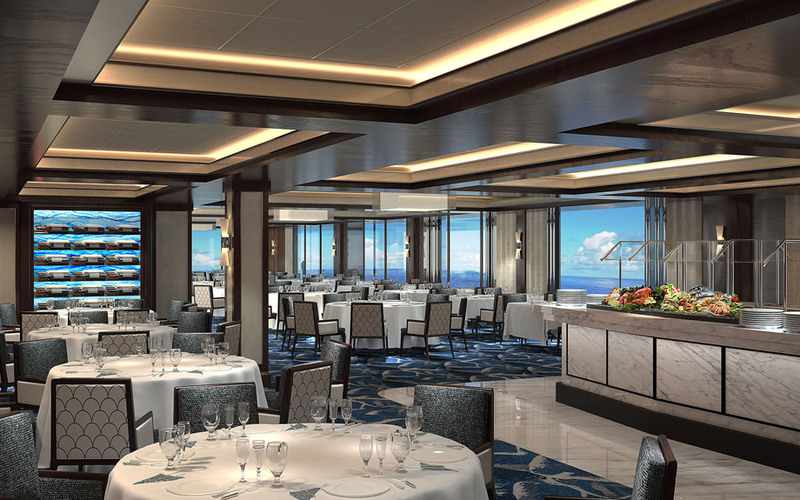 And with so many purpose built restaurants from bow to stern, guests will enjoy more dining options than days of their cruise. 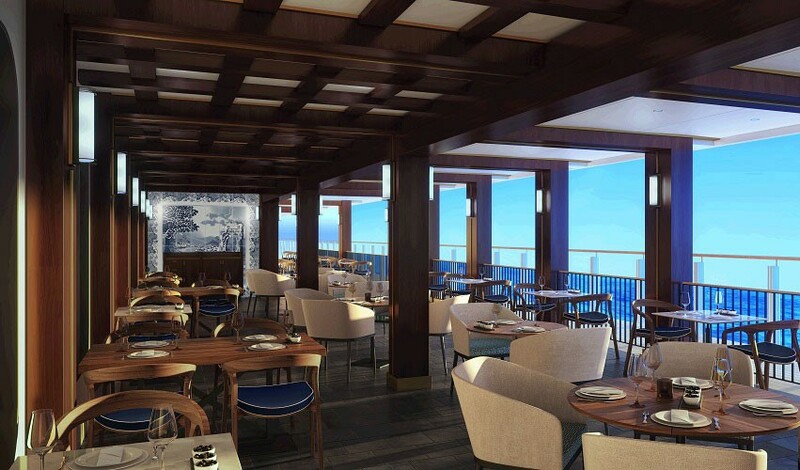 The 3,850 guests on board Norwegian Joy will be able to enjoy a wide range of complimentary dining options, while a host of additional premium dining experiences are also available at nominal extra cost. Among the inclusive options is the Garden Café, which will offer breakfast, lunch and dinner. The diverse spread will feature classics of Chinese and Western cuisine as well as lively stations preparing dishes à-la-minute. 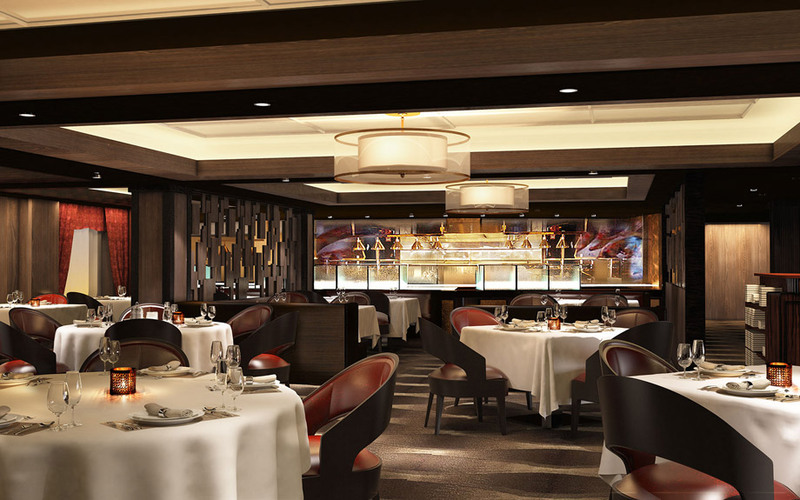 For a more traditional dining experience Norwegian Joy’s elegant Manhattan Room will offer a vast selection of Chinese cuisine complemented by Western-style classics such as steaks and seafood. The aptly named Savor and Taste restaurants will also serve a wide array of Chinese cuisine, from traditional to forward-thinking Chinese fusion cuisine with pronounced Korean and Japanese accents. Among the premium offerings, Food Republic allows diners to take a culinary tour of the world without even entering a single port of call. An eclectic menu will draw inspiration from the flavors of Japan, and even such far-flung destinations as Peru. Teppanyaki offers an authentic taste of East Asia. Here, guests can marvel at a Japanese hibachi cooking performance at their table. Diners also have the option of preparing their own meal with a selection of meats and fresh vegetables at Hot Pot restaurant Sakura & Hibiscus or Korean barbecue table. For fresh hand-pulled Chinese noodles and exquisitely crafted dim sum, there is the Noodle Bar. The American dining options range from a sophisticated steakhouse to a classic and casual diner. Cagney’s Steakhouse will feature premium cuts, like tender filet mignon and succulent bone-in rib eyes, as well as other classic chops, like rack of lamb. Meanwhile, American Diner promises the best in American comfort, from meatloaf and potpies, to burgers and fried chicken. The azure Pacific waves that carry Norwegian Joy from port to port will no doubt induce in passengers’ craving for fresh fish, which can be satisfied at Neptune’s. This seafood specialty restaurant will feature a stunning buffet of fresh seafood, both chilled and raw, on ice. Guests can enjoy an expertly prepared catch from Neptune’s à la carte menu, too. Italian and French are among the best cuisines that Europe has to offer, and Norwegian Joy will allow guests to indulge. La Cucina will specialize in a mix of contemporary Italian pastas and handmade gnocchi, along with meat and seafood dishes, while Le Bistro will serve the most refined French cuisine on the high seas. For those with a sweet tooth, The Bake Shop is certain to quell those cravings. This boutique bakery will offer a tantalizing variety of handmade baked goods, like cupcakes, macarons, chocolate pralines, and Japanese mocha sweets, to name a few. Finally, for liquid refreshments, Norwegian Joy will be flush with options. Venues like The Grand Tea Room will serve high-end loose leaf teas from China along with elegant snacks and high tea-style finger foods to savor on a leisurely afternoon. Wine lovers can quench their thirst at La Cave. French for “The Cellar”, La Cave is Norwegian Joy’s source for fine wines and spirits. Guests can enjoy a glass of world-class wine or whiskey at the bar and, if they taste anything they like, they can make a retail purchase to take home with them after the cruise. After a leisurely drink or two, they may wish to retire to Humidor, Norwegian Joy’s exclusive cigar lounge to relax in style. And for guests who wish to enjoy a handcrafted cocktail, options abound, from martinis and manhattans at Mixx Bar, pre-dinner drinks at Prime Meridian, refreshing frozen poolside cocktails at Spice H20, and specialty coffees and teas at Atrium Bar. Every aspect of Norwegian’s new Breakaway-Plus Class vessel, promises to be a ‘First Class at Sea’ experience. Currently being built at Meyer Werft in Germany, Norwegian Joy is designed to provide First Class at Sea experiences with onboard amenities that cater to the unique vacation desires of Chinese guests. 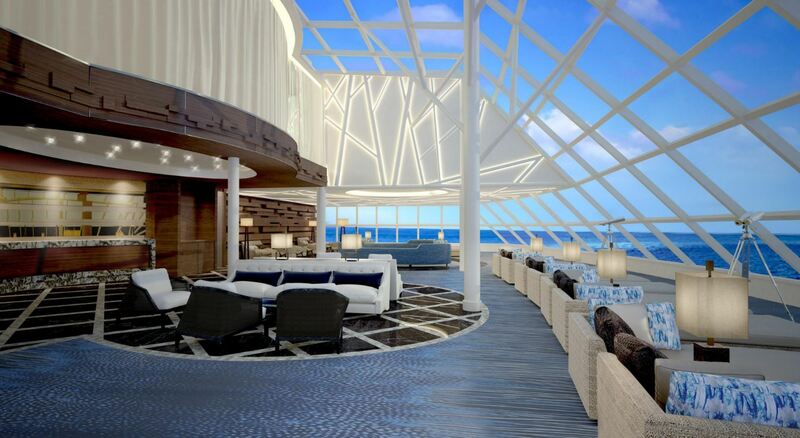 Norwegian Joy will provide a multitude of VIP accommodations including ‘The Haven by Norwegian‘, the line’s exclusive, ship-within-a-ship luxury suite complex, which will also include an all-new Observation Deck that features 180 degree views, and a Concierge level, an all-new accommodations category which will provide a VIP experience and feature larger balcony staterooms. Accommodation offerings will also include staterooms designed specifically for families and a multitude of connecting staterooms, for extended families traveling together, as well as a wide array of mini-suites, balcony, ocean view and interior staterooms, many with virtual balconies. 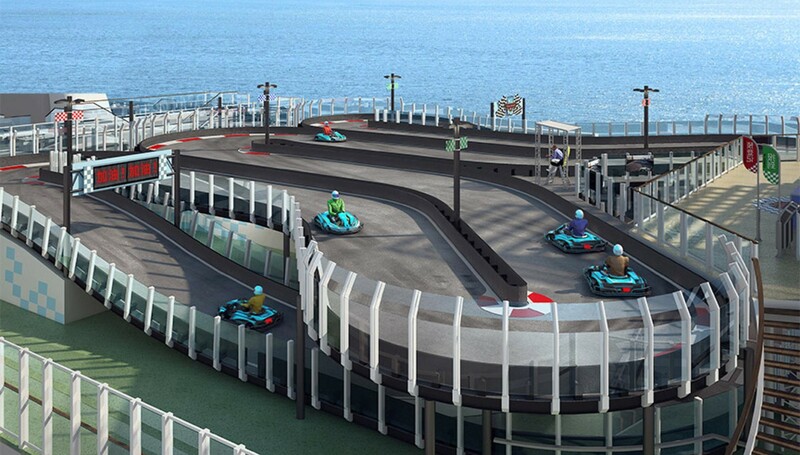 Norwegian Joy will offer engaging and innovative activities including a first at sea two-level competitive racetrack, an open-air laser tag course, thrilling simulator rides and interactive video walls at the Galaxy Pavilion as well as hover craft bumper cars, a state-of-the-art racing simulator and two multi-story waterslides. In addition, Norwegian Joy will house a tranquil open space park as well as the line’s largest upscale shopping district, complete with everything from exceptional duty-free shops to world-renowned global luxury brands.